Thanks to the lovely Tess Fragoulis for including in me in the Blog Hop, and letting me hop right onto her blog to do it! I’m working on a book of short stories I started during an MFA in Creative Writing with the amazing Zsuszi Gartner, who taught me how to unleash my own voice as a short fiction writer. I don’t know whose style I was trying to write before, but it was some safe, bland compilation of a “literary” voice. For the first class, I’d written this truly horrible last line in a story, involving one tenacious leaf hanging from a winter branch. Zsuszi and the gang—we later named ourselves “The Tenacious Leaves”— facilitated that breakthrough moment in which I could finally see how I was getting in my own way as a writer. Once I kicked the nasty self-imposed critic, with all her “shoulds,” off my shoulder, the writing and my enjoyment of it opened up. That’s the book I’m working on now, The Hard Problem of Consciousness. In the title story, I was interested in that particular problem of consciousness in which there is no logical reason why we should have experience, or a rich inner life, as part of the meat-machine processes of mind. How then do we share our experience? Or as Betty Goodwin asks in one her preliminary sketches, “How long does it take one voice to reach another?” I like playing with that in story—how little of what we mean gets across once its been through the filter of our personality and the listener’s own psychological makeup. The extraordinary capacity of language and its failures. I find I’m always drawn to books and movies with interweaving story lines and characters. I have a triptych in the book that takes place on one night in a small village (very like the one I live in) with three characters in the middle of various crises that draw direct and indirect connections between them. I also have a mostly-completed book of poems and half a novel and a small business. Starting a business is like pushing a huge boulder off a mountain peak, then getting in front and running. The boulder is slowing down and my legs are way stronger than when I started. So, right now, the stories. I’m learning to focus. This is the sort of question I wouldn’t have the first clue how to answer. It’s hard to see my own work objectively. One thing I’ve decided about other people’s art—to dispel that feeling that I’d have to take survey courses covering the whole of human history in every discipline to properly “understand” it—is that if a work engages me on numerous levels, then it’s working for me. A Betty Goodwin mixed media piece challenges me intellectually and visually, cracks me open and gives me goosebumps. That method of engagement with art has a corollary for my own work: that the best I can do is develop my craft and strive to be authentic. The writing I most admire has spiritual grit, and by that I mean, it’s earnest in the best sense of the word, but has its feet on the ground too. It feels elemental, like a brilliant new idea, yet one that resonates in my most hidden self, and I wish I’d written it. I try to write the work that in a parallel universe, I would wish I’d written. The specifics come based on whatever gets lodged in my mind or body and haunts me until I let it out. Before a first draft, I spend a lot of time working when I’m not working. I need to fill my life with the right things in order to write well—time in the world of nature, time to read, and some good old-fashioned loafing about on the couch and staring at the ceiling with a song like Springsteen’s The River on a repeat loop, à la my sixteen-year-old self. Caffeine helps. Sometimes wine. Long drives are good. So is sleeping on it. Once I can feel the story, feel the emotion of the idea, character, or question that’s asking to be written, then I can face the blank screen. When it gets down to writing the story, I have to say, I have a pretty unstructured mind, so sometimes laying down a structure frees me up to delve into character and ideas. I want the content and the form of the story to work together and I really enjoy playing with that. Revision is my favourite part of writing, where I really develop the characters, the line by line craft, etc. The best I can hope for in a first draft is that I get the voice on the page. Most of it gets cut later, and everything else is re-writing. If my writing process were a poem, it would be Steven Heighton’s Ballad of the Slow Road. I’m most productive at writer’s residencies, where I can be locked away in my room with a view, but know that there are great people working near-by, stimulating conversation and a cuppa tea or a pint waiting when I’m ready to leave my bubble. So right now I’m renting a studio with the writer Lesley Buxton in the Farrellton Artist Space in an old, country school housing 20 other artists. It hasn’t produced as much beer-drinking as I’d like, but I’m getting work done. I’m passing the rabbit’s foot over to playwright, poet, short-story writer, and fibre artist, S.Lesley Buxton, who is currently writing a Memoir through Dalhousie’s King’s College based on her beautiful and heart-breaking blog Fall On Me, Dear. And to poet, Dilys Leman, (who will also post on Lesley’s blog) great-great-granddaughter of Dr. Augustus Jukes, senior surgeon of the North-West Mounted Police during the 1885 Rebellion. Dilys’ new book, The Winter Court (McGill-Queens University Press), challenges the official story about the roll of First Nations in that rebellion through a mix of original poems and reconstituted archival texts. Una McDonnell has performed at literary readings and music festivals, on top of café tables (to get a gig), and on one occasion in a boxing ring (she won her round). She attended the 2002 Banff Wired Writing Studio and the 2003 Sage Hill Poetry Colloquium and has a Masters of Fine Arts from UBC. 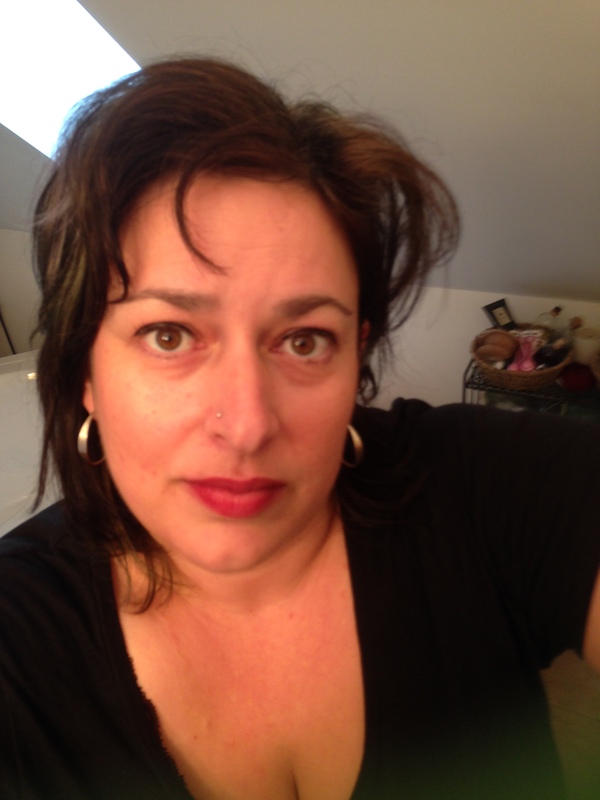 She has published work in Arc, Prairie Fire, Written in the Skin: A Poetic Response to Aids, and Musings: An Anthology of Greek-Canadian Literature. This entry was posted in Book Biz, Fiction, Writers, Writing Life and tagged blogging, creative writing, Dilys Leman, Farrellton Artist Space, Lesley Buxton, literature, short story, Steven Heighton, Una McDonnell, writing by Tess Fragoulis Books. Bookmark the permalink.